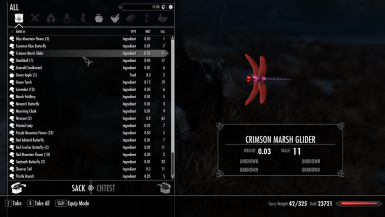 Would it be possible to have a patch for Technicolor Alchemy (https://www.nexusmods.com/skyrimspecialedition/mods/22118)? I love having all the added variety of flowers and things that brings, but it is so annoying to have to hop off my horse to get every single flower.Thank you for a very handy mod! Hi pedrinbr! Thanks for putting all this together! I'm still playing on LE/Oldrim and wondering what would be involved in "back-porting" some of these patches to the LE version? I'm willing to do the work myself if needs be, I just don't know where to start (I have basic knowledge of the CK) - would you be able to give me some basic pointers? Is there an export or conversion utility that can do it quickly? If not, I'd be willing to port it over entry by entry manually if necessary - just don't know what records/forms/item id's to look toward. I'm really looking to create a patch that just adds the new items from CACO to the "harvest" function while on horseback of Convenient Horses. Any assistance or advice you might be able to provide would be most appreciated! Should I use 3 separate files if I have Apocalypse, SIC and Summermyst but no CACO? Haven't found merged file for that case. It would be interesting to add a patch for people who have Apocalypse, CACO and Summermyst but not SIC (like me) too. Thanks for putting this together pedrinbr. I'm not sure whether I should be posting this here, or on the main CH page, but since this offers patches for CACO I thought i'd post it here. I seem to be getting heavy stuttering whenever I loot an animal while mounted, flowers and such seem fine though. 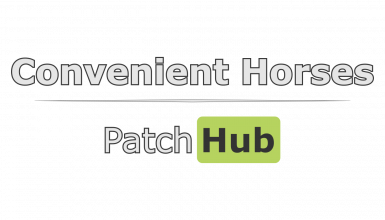 Worth noting that I'm running with all of the mods this patch hub caters for as well. I'm wondering if anyone else can confirm this issue, or I may have to take another look at my modlist. In any case, thanks again for putting these patches together, it's appreciated. I am getting the same. It has to do with this and CACO I believe. Maybe something needs updating? I just did some testing. It's not CACO. I ran each of the individual patches to see which one was at fault. CACO - Minimal to no stutter. SIC - Minimal to no stutter. Summermyst - Frames down to 2-4 per second. Source of the stutter. Apocalypse - Minimal to no stutter. 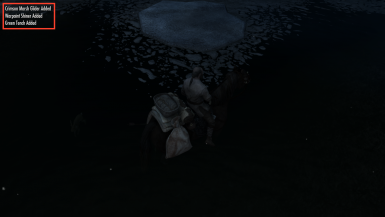 Luckily, you won't be fighting people on horseback enough that the summermyst problem becomes huge. Getting off to loot enchanted gear isn't a huge deal for me. I am guessing that the issue stems from the massive amount of lists added by summermyst. If it's possible (and I don't know that it is), is there any chance you'd consider adding a patch for Interesting NPCs? I hope it suits you well. Please let me know if you find any problems! Could you make a patch to include Beyond Reach? Just added it to the "planned mods" section of the description. I'll get to it in a day or two. I must first finish up the fomod installer and write the tutorial for the patcher. But if you could tell me what of Convenient Horses works and what doesn't in Beyond Reach, it would help speed things up! 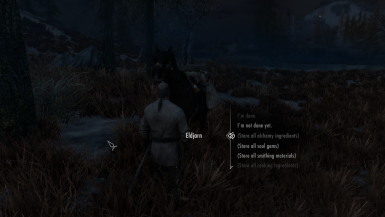 When I try to use Convenient Horses - CACO+SIC Patch, it said that I am missing CACO_SkyrimImmersiveCreaturesSE_Patch.esp, why do I need this patch to make your mod work? Sorry, I didn't put this requirement in any of the descriptions, but said patch has some unique records regarding raw meat from the creatures of SIC. Because of the logo or because of the lack of content? If its the latter, please just request the mods you want included and I'll do my best to do it ASAP. Otherwise... you're goddamn right! Foi força do hábito huehuehue. Wait... Why would Apocalypse even need a compatibility patch? For the horse's inventory management. With the patch, you can use the horse's dialogue to store and pick up items according to their type. In the case of Apocalypse, these items include spell tomes, scrolls and staves.